Recently, I found myself faced with a “tough” decision. I put “tough” in quotes because it was also quite a delightful decision: I needed to purchase a new rifle. 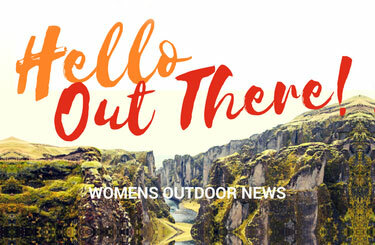 Over the summer, I was partnered with Leupold Optics here on Women’s Outdoor News, and the amazing Leupold team was kind enough to send me a box full of new gear including a scope. 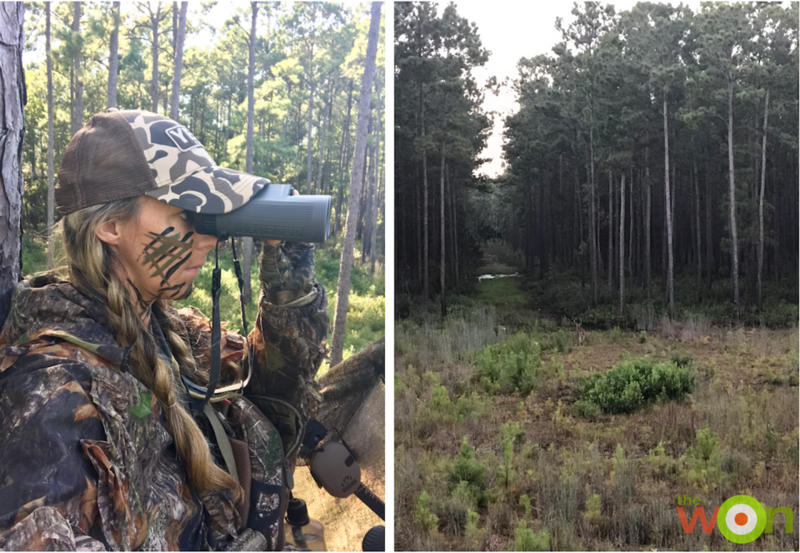 I’ll be reviewing the gear Leupold sent throughout the fall, but I focused on one item in particular as deer season drew closer. Leupold had sent me a brand-new scope, the VX-5HD 3-15x44mm CDS-ZL2 with FireDot Duplex (Illuminated) Reticle. Y’all, this scope is bad to the bone. I didn’t even make it inside to open the box because I was so excited. Having hunted deer since I was a kid, I naturally already have a rifle/scope combo that I swear by. It was a gift from my dad after he saw how much I loved hunting with my grandfather’s pre-1964 Winchester Model 70 .308 (but understandably didn’t trust a teenage Hollis with something so sentimental in the great outdoors). He gifted me with a newer version of the Model 70, also in a .308. The one setback to this pre-’64 style rifle is the fact that it has a walnut stock and carries some weight. 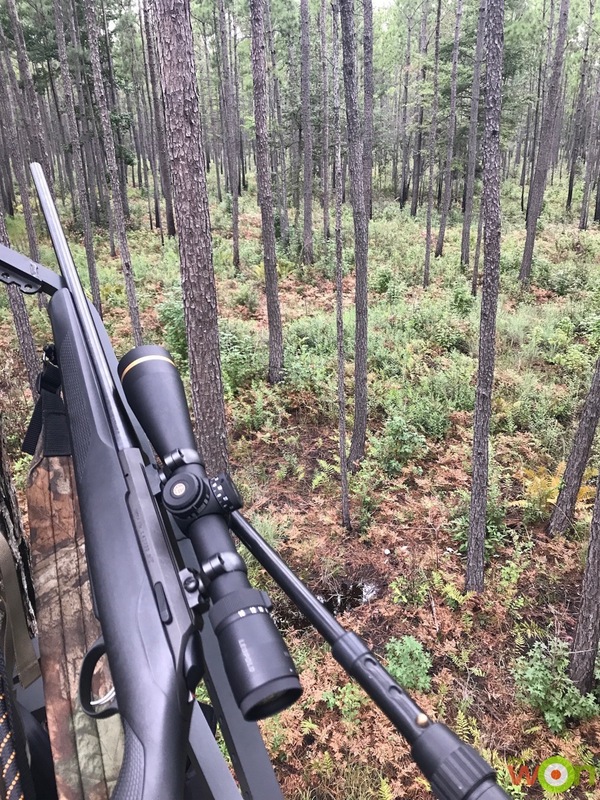 As I’ve expanded my hunting horizons, I’ve found myself in numerous situations where the gun wasn’t ideal—from hunting my climber in the pouring rain to stalking for miles on end. I was either babying the gun, not wanting to scratch its finish, or suffered from a bruise down my back from carrying it for so long. This gun also holds a sentimental value for me, and I’d prefer to only use it in the best conditions. I’d been toying with getting another rifle for more than a year, and receiving this scope from Leupold was just the push I needed. It’s lightweight and tough, and the clarity is unbelievable. So, where to begin? I asked myself 4 questions that everyone should consider before buying a new rifle. 1. What will you be hunting? After all, it’s only logical to get a gun that is appropriate for the game you’re after. My answer: I’ll be primarily hunting whitetail, hogs and coyotes. 2. Where will you be hunting? 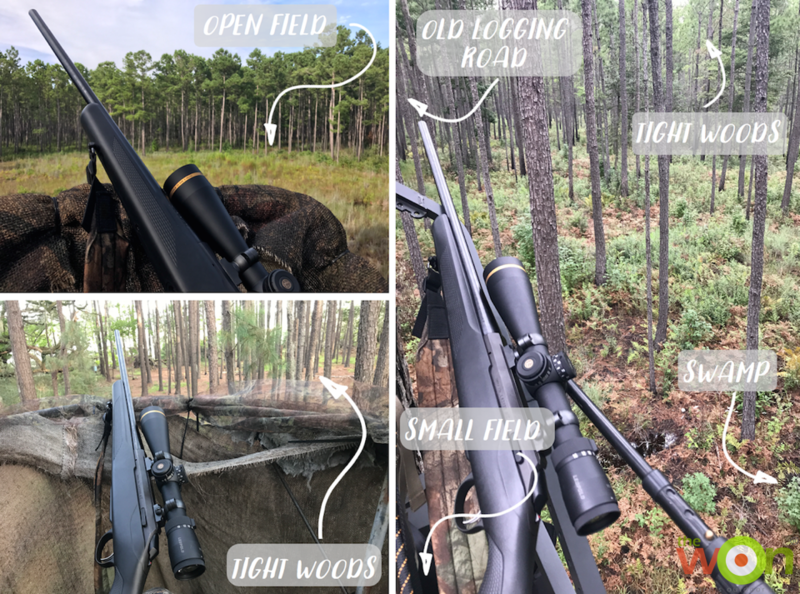 Consider the landscape and topography of your hunting locations. 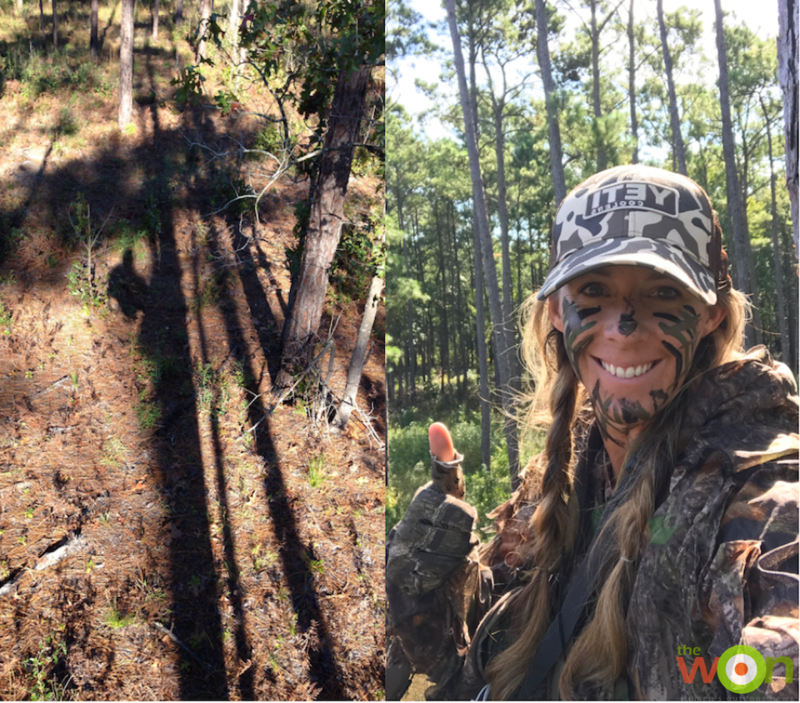 Will you be hunting across a high mountain range or a low swamp bottom? Dense woods, or open fields and farmland? My answer: I’ll be hunting a combination of field edges, shooting lanes from old logging roads, and a woods/swamp combo. 3. How will you be hunting? Will you need to pack in all your gear to spot-stalk on mountainsides for days at a time, or will you be perched on the edge of a nearby farmer’s 30-acre bean field with the potential for 500-yard shots? Maybe you’ll be 30 feet up a pine tree with swamp on one side of you, and tight woods on the other. I’d much rather carry a lightweight gun if I am hiking all day, but wouldn’t mind lugging in something heavier if I’ve only got a half-mile walk to a permanent stand. My answer: I’ll be using a combination of leaner-style stands, ground blinds and (mostly) my climber. It is important to choose a rifle that gives you the best chance of a successful hunt in a variety of setups. 4. How much do you want to spend? The range of rifle prices can be a bit overwhelming. Just because something is on the cheaper side doesn’t mean it isn’t an excellent gun. On the flip side, paying an bundle for a firearm doesn’t always mean you’ll have a leg up on your fellow hunters. Determine your budget, and find a gun within that range that fits your needs. Next, I examined my needs based on those answers. Based on what I’ll be hunting (deer in the Southeast), I need a decent round with good knockdown power. 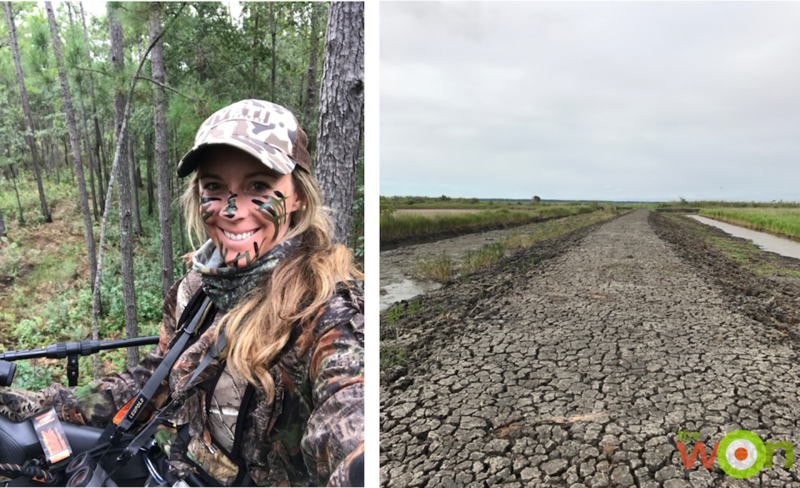 Trailing a deer into an alligator-infested swamp is not my idea of a good time. Bullet deflection and bullet drop are important with regard to where I’ll be hunting. I need the ability to shoot at close ranges in thicker brush, but also at longer distances across openings (potentially from the same stand). A buck could pass 15 yards from my climber, or sneak down the opposite bank of a wide duck impoundment on his way to get water. When it comes to how I’ll be hunting, a good scope is an absolute necessity. I hunt from my climber more than anything else, and I usually set it deeper in the woods or swamp than our field-edge leaner stands. That means it takes longer for sunrise to creep through the trees each morning, and dark falls more quickly each evening. A scope that lets in enough light to see earlier at dawn and later at dusk can mean the difference between besting a mature buck and missing my opportunity because it’s too dark to shoot. In terms of a rifle, I need something lightweight and somewhat compact—there’s only so much room in a small climber when you’re 5-foot-10, after all—with a tough synthetic stock that I won’t mind dragging up a tree or getting muddy on the ATV. Lastly, I want something quiet and safe. Call me crazy, but I don’t think it’s a good idea to climb a tree with a loaded gun, or to pull one up by a rope once you’ve reached the stand. I want to be able to load the gun in the dark easily, and with minimal noise. In terms of pricing, I kept a fixed number in my mind that I wouldn’t exceed. It covered everything—the cost of the gun itself, the sling, having the scope mounted, etc. With my questions asked and answered, I set off on my research and whittled down my options. I already knew I wanted either a .270 or a .308—both are excellent rounds for deer hunting. Since I already have a .308, I decided on a .270. It’s a flatter-shooting bullet, so there will be a little more speed and a less drop for longer shots, and a lower-grain bullet will mean a smaller hole in my target (but still enough power to stop it in its tracks). 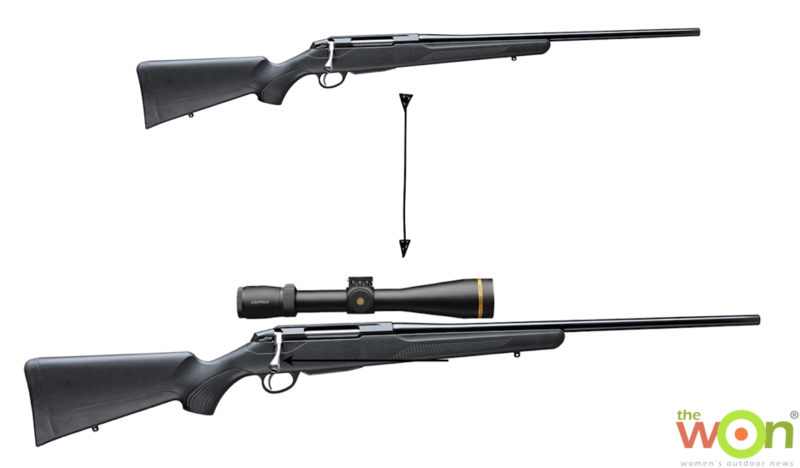 Next, I narrowed down the brand based on price and the gun’s availability chambered in a .270. Finally, I crossed out anything that weighed more than 7.5 pounds. I was ultimately left with 4 guns: the Remington Model 700 SPS, the Tikka T3X Lite, the Savage Model 16/116 and the Winchester XPR. And boy, was I stumped. I went back and forth for weeks about it, shopping around at different places so I could hold each gun and see how it fit. After all, I’d never purchased my own rifle before—I wanted to be 100 percent sure that I was getting the best gun to fit my needs. All 4 are great options, of course, but I kept hearing more and more about one gun in particular, and how impressed other hunters have been with it. Finally, I made one last trip to my local gun store, Palmetto State Armory, and made my purchase: the Tikka T3X Lite. It was light but felt good against my shoulder, and the drop/length of pull wouldn’t need to be adjusted at all. I’d planned to mount the scope myself but, between work and travel, I ran out of time before the season opened. Thankfully, the scope portion of my setup was already taken care of. Leupold’s VX-5HD is perfect for the type of hunting I do, and its Twilight Max Light Management System is specifically designed for those low-light situations I’ll encounter in the woods. The battery-operated FireDot reticle can be used conventionally or illuminated, with a red aiming dot that can be adjusted in intensity. I was so excited to get everything set up. I had the scope mounted and bore-sighted at another local gun shop, Caroline Rod & Gun, and finished sighting it in myself that weekend. My first 3 shots were close enough together that the scope needed minimal adjustments to group around the target’s bullseye. I was impressed from the start. Dying to put my new rig to the test, I hit the woods hard opening weekend. 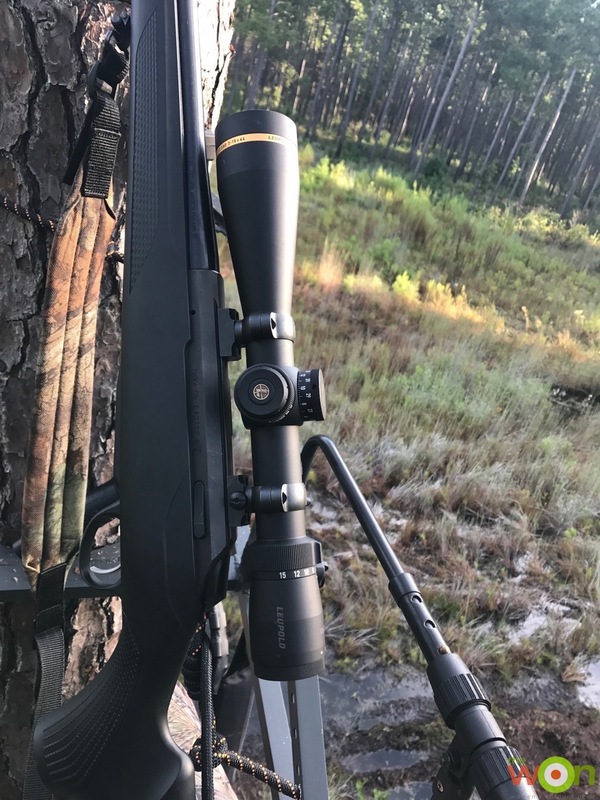 Even though I didn’t see any deer the first morning, I pulled the rifle up several times before the sun really started to rise, just to see what the VX5-HD could do. There was a noticeable ability to see earlier with this scope. I was in thick woods near the edge of a bottom, and I could easily make out objects 100 yards away that I couldn’t see at all with my naked eye. It’s hard to beat a beautiful morning in the deer stand. That afternoon, I got back in the stand at 4:30 to sit until dark. Around 7:15, I heard a slight rustle in the brush to my left, and out walked a buck. My heart started pounding as I slowly raised my binoculars to check him out. Leupold was also kind enough to provide me with a new pair of binoculars, and their sharp focus is very impressive. I immediately knew which buck I was looking at. Upon inspection, I recognized one of the 8-points from my trail cameras. He’s a decent buck, for sure, and my heart pounded harder. I wanted so badly to put the crosshairs on him and see what the Leupold/Tikka team could do. But, as I breathed slowly to calm my nerves, I decided against pulling the trigger. It was only my second hunt of the season, and I didn’t want to shoot this buck just because he was the first nice one I laid eyes on. I’ve killed bigger bucks, and half the fun of deer hunting is the thrill of the chase. Instead, I watched him scamper up the shooting lane and into the brush, knowing that if he survived the season, he’d be a bruiser next year. As it turns out, the first animal I laid the crosshairs of the Leupold on with the intent to pull the trigger was not a trophy buck, but a sly coyote trying to sneak into my field. We’ve been dealing with a coyote problem for at least 3 years now, and they’ve remained elusive to our hunting efforts. When you’re trying to manage for whitetail, turkey, quail and duck, you don’t want to see those filthy things lurking in the shadows of your trail cameras. I spotted the coyote the morning before Hurricane Irma hit South Carolina. By 9:30, my only excitement up in the climber had been seeing 2 fox squirrels arguing over some acorns. I had just decided to head out when I caught a quick movement out of the corner of my eye. It took a second for my eyes to focus on that distance, and I initially thought I was looking at a tiny fawn—that is, until the “fawn” took two steps sideways and I saw a pointed nose and long, bushy tail. From there, instinct took over. I knew I only had a few seconds to react before that coyote was on the move and out of sight for good. It happened so fast, I hardly remember pulling the trigger. As soon as I got the rifle to my shoulder and looked through the scope, I had a clear view of my target. I didn’t need to adjust the scope, which is incredible, particularly considering that I really didn’t have time to, anyway. 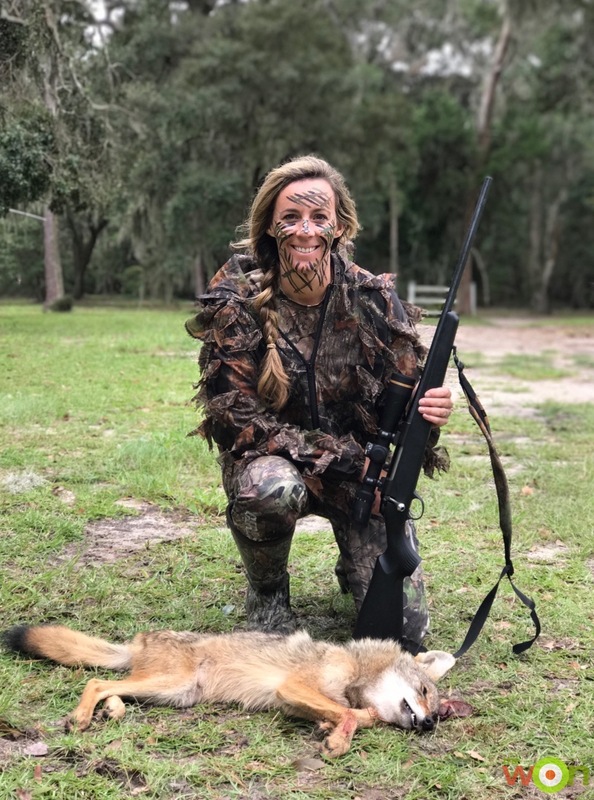 The coyote starting trotting across the field, so I lined the crosshairs up to his head (knowing that even if he took a few more steps before the bullet reached him, I’d still more than likely make a kill shot) and squeezed the trigger. I’d call that a successful shot! Old coyote didn’t move another muscle…and we’ll hopefully lose a few less fawns and polts next year! I cannot say enough good things about the Leupold VX-5HD. I fully believe I was able to take this coyote because of this scope, and I am so excited for the hunts to come. 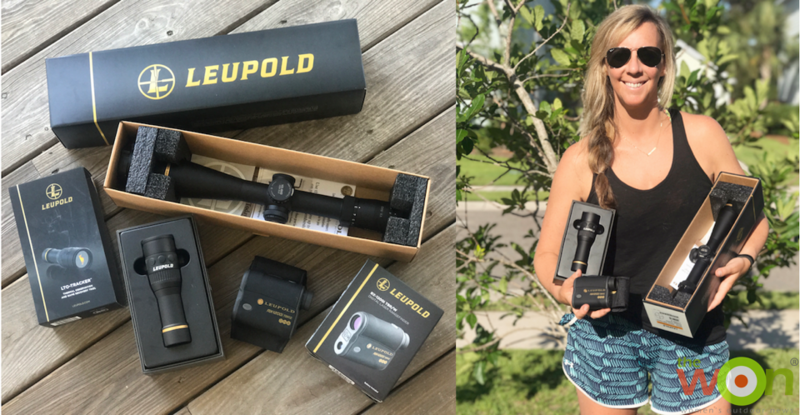 Thank you so much to Leupold Optics for the amazing gear—I know this season will be even more epic because of it.